Tonight is our Des Moines (Iowa) Modern Quilt Guild holiday social–can’t wait! If you are in the area, stop by at 6:30 for an evening of fun. 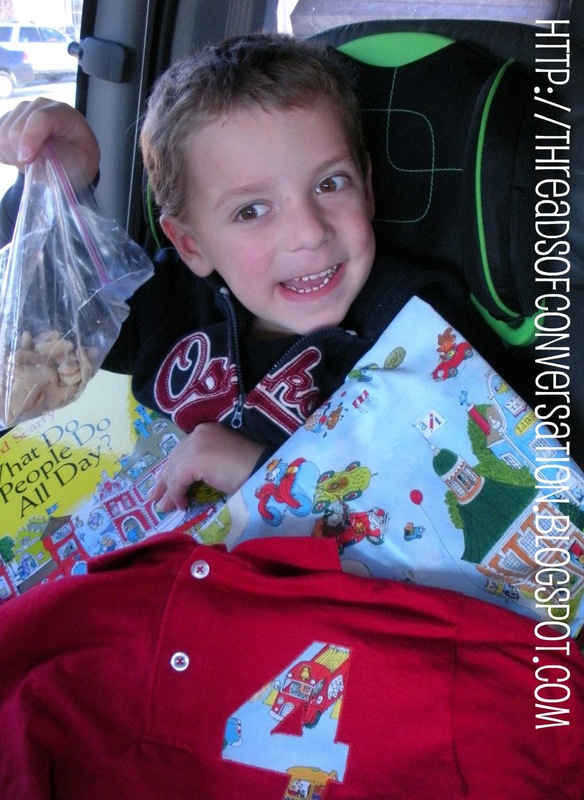 We are swapping a holiday item–I whipped mine up last night (nothing like waiting till the last minute!). More get-together details here. Every year, I make my nephews birthday shirts to boast their age at their birthday party. 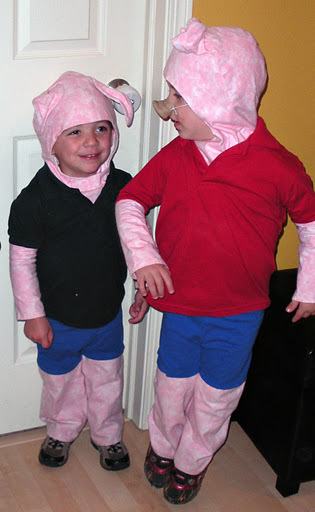 These were last year’s (a Diego themed party) and the year before was a Curious George party (wow! They were such babies two years ago!) 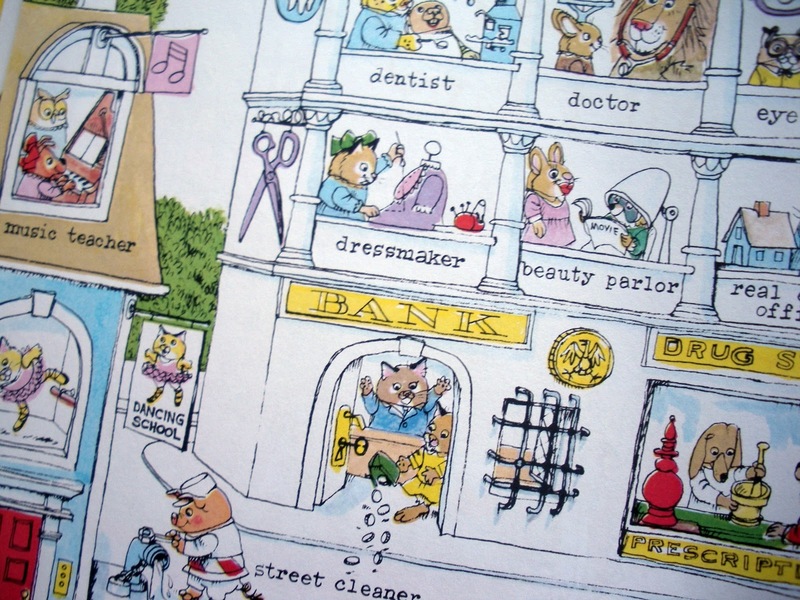 This year, the older brother is obsessed with Richard Scarry’s Busytown (remember the Pig Will and Pig Won’t costumes? Same source, and his idea..), and his little brother, fire trucks. 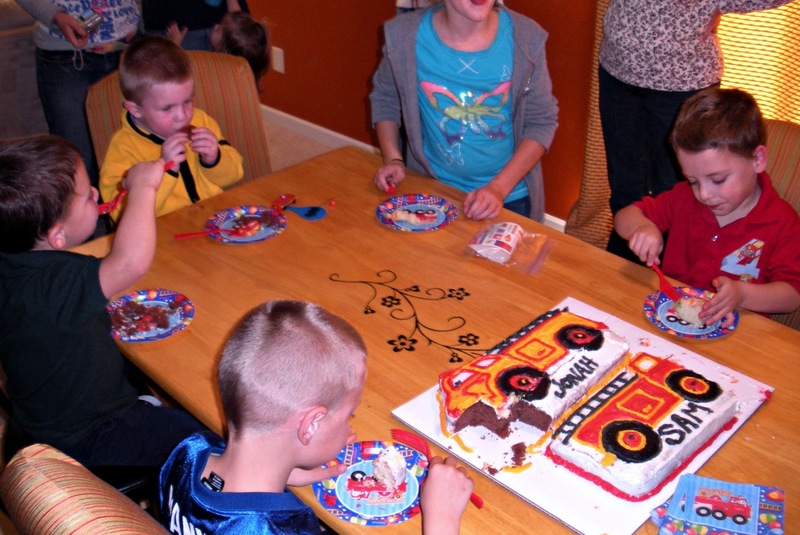 Originally the party was to be Busytown themed, but their Momma settled on a generic fire truck theme party. 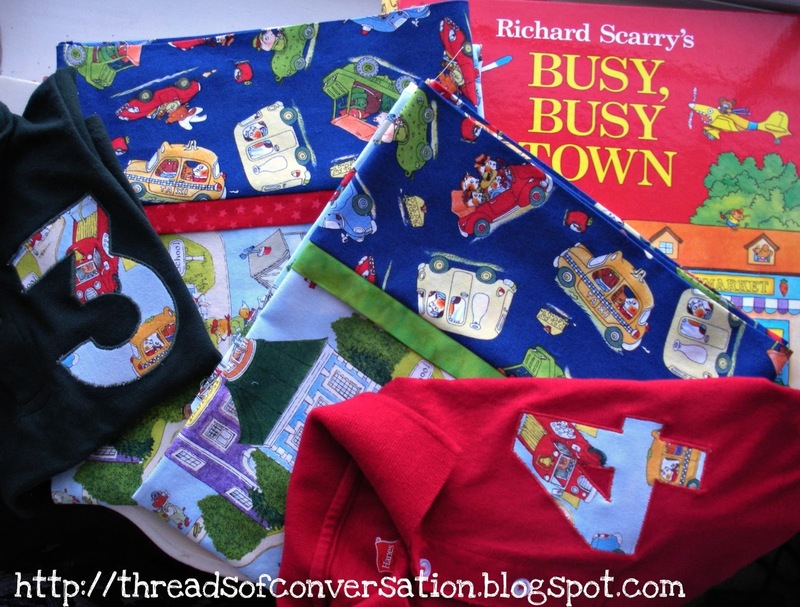 It just so happened that Quilting Treasures released their new line, Busytown on the Move by Richard Scarry at the beginning of October 2011, just in the knick-of-time for my nephew’s birthdays! Well, okay. Maybe not, but a girl can dream, right?!? 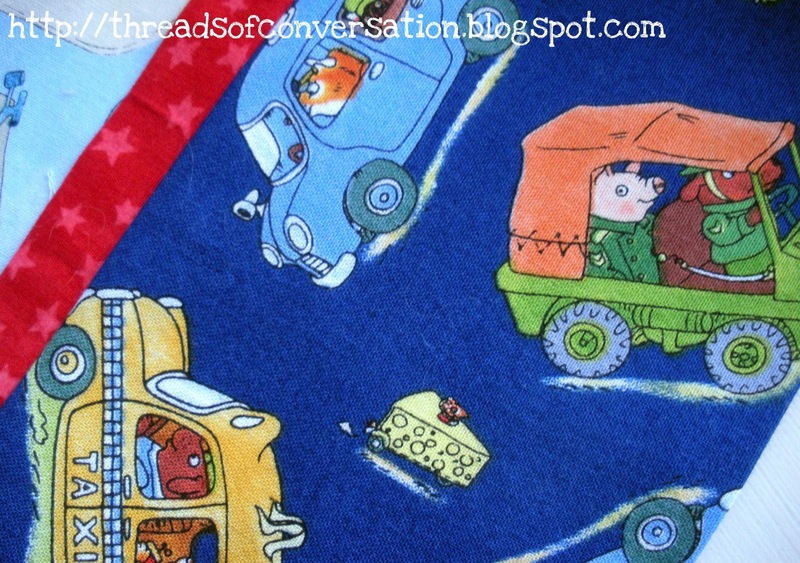 And used the fabric to make them each their own pillowcase, perfect for falling to sleep on and dreaming big 3 and 4 year old dreams on… Maybe I should make myself a birthday shirt next July to boast my new age, what do you think? Yeah, maybe not. Instead of using wrapping paper, I wrapped each book up in the pillowcase with their shirt as a “nametag” for whose gift was whose. Doubtful. But again, a girl can dream, can’t she? 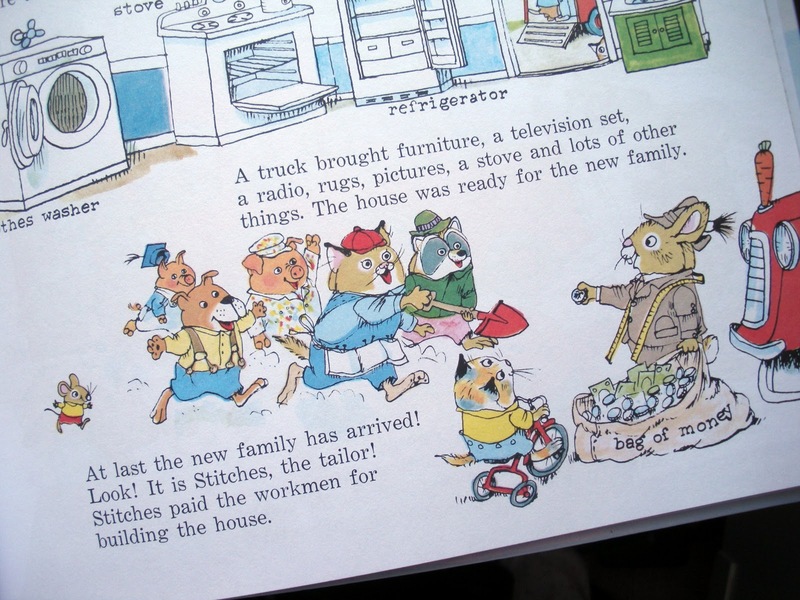 My children loved the Richard Scarry books (so did I!!) 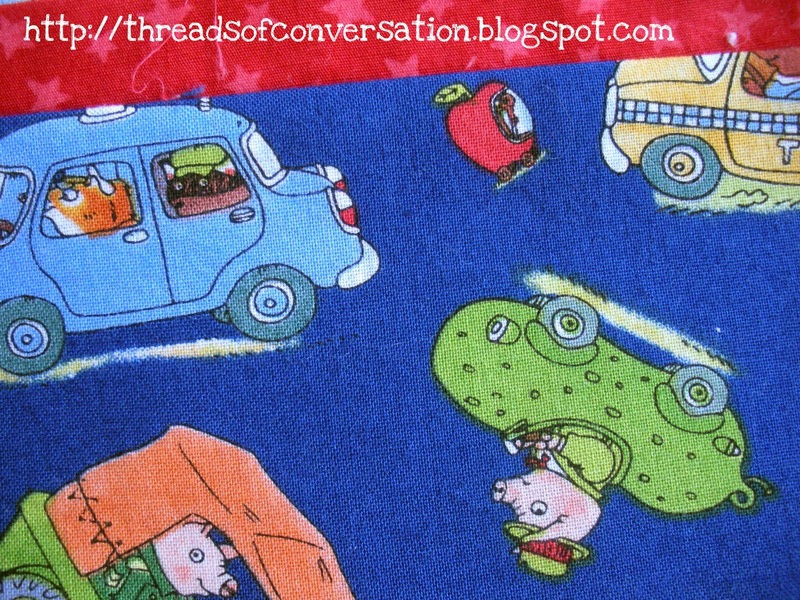 I didn't know there was a fabric line – I'll have to find some! 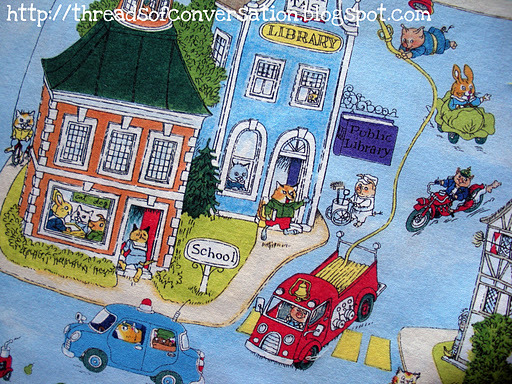 Definitely gotta get me some of that Busytown fabric! 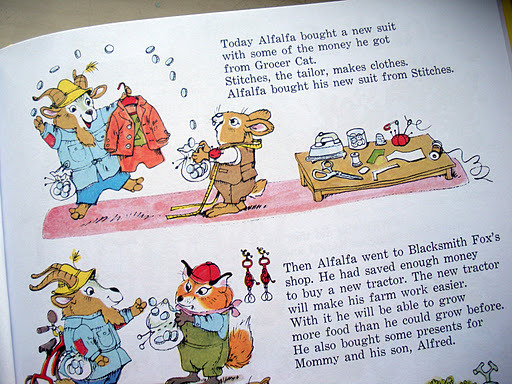 I enjoyed reading Richard Scary books to my kids, and saved all their books which are looking pretty bedraggled. But I will still read them to my grandsons when they're old enough to understand. See you tonight. 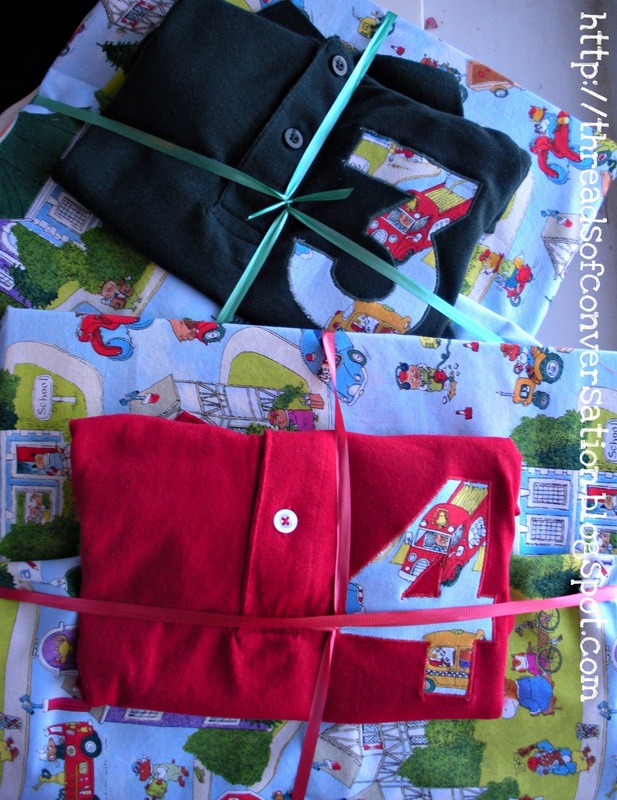 those fabrics are CUTE, I loved those books when I was little.